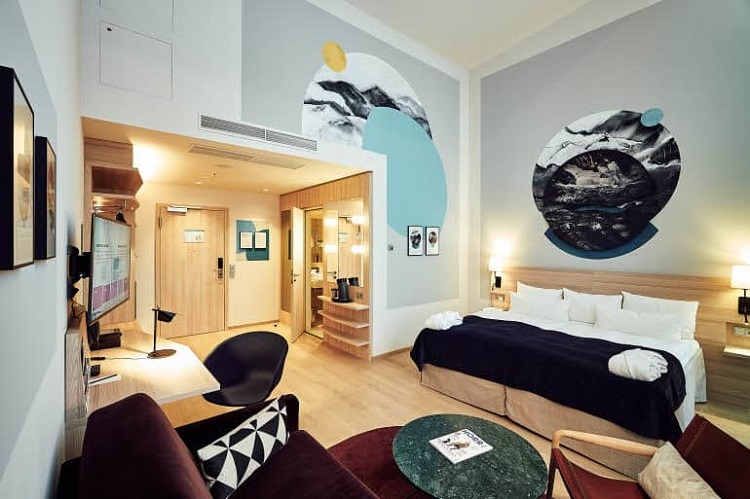 Stay at the Scandic Hamburg Emporio and you’ll find yourself enjoying a modern hotel in unbeatable location, very environmentally conscious and committed to corporate social responsibility – something the Scandic brand has become well known for. But there is more. During my visit of Scandic Hamburg Emporio I met Steffen Seichter, the hotel manager. He took me on a tour around the hotel – the artsy rooms, restaurant. He even had me take a look at the kitchen! Food waste is such a problem nowadays, and Scandic Hamburg Emporio is using every possibility to avoid it. So what’s the story? 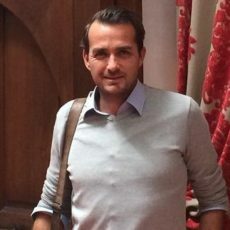 Steffen, you are the manager of Scandic Hamburg Emporio. Did you always want to work in hospitality? And what led you to move to Hamburg? Actually yes, in 1996/97 I had the chance either to join a fashion/clothing company, a motorbike dealer or a popular 4 Star Hotel outside my hometown – and so I did. Since 1997 I am permanently part of the hospitality industry (and hopefully till my retirement in 2048 😊). Well, I already lived in Hamburg from 2011-2014 – I moved to Hamburg actually for the pre-opening phase of the Scandic Hamburg Emporio. My girlfriend and I loved the city back then, so we decided to come back to Hamburg regardless of where I would work. We already bought a house here, a year before I had a job in Hamburg. And in Summer 2018 I had the chance to apply for the general manager position in the hotel where I had already worked during 2011-14. What makes the Scandic Hamburg Emporio stand out from other hotels in the city? When we started in 2011 with the pre-opening campaigns, the design set-up and market research, we figured out quite fast that the Nordic CSR DNA was a perfect fit for Hamburg. Hamburg never really had a “green” hotel with world-class accessibility rooms and features. In 2011 we came up with the slogan “Hamburg just became a little bit more Scandinavian” – and we think it still is. Scandic was founded in 1963 and since then, we have been a pioneer, driving development within the hotel industry. We operate in the mid-market segment under our industry-leading brand, Scandic. We are seeing leading hotel brands shifting their focus from “just” environmental best practice to social topics and more community engagement. Which initiatives at Scandic Hamburg Emporio do you find the most important, or inspiring, in this context? Scandic had from the very first moment a more holistic approach to CSR – especially social/local society topics are very important to us. Scandic came up with “Scandic in Society” where every single hotel (and there are approx. 280 around the world) is supporting the local community with a minimum of three social activities with direct positive effects. So, in Hamburg we work with the partner “too good to go”. In addition to this we work with foodsharing.de for food leftovers, and we support hanseatic help and budnianer hilfe. In late 2018 we started “social eating” – while you enjoy a special meal in the restaurant, you automatically support “Stiftung Mittagskinder”, a non profit which serves one warm lunch for children in need in Hamburg for every three meals served in the restaurant. Scandic Hamburg Emporio has a very special artsy, boutique feeling about it, especially when you walk around 7th and 8th floor. How did the “art rooms” idea come all about? And how do you choose the artists? Many unique concepts are waiting to be discovered at Scandic Hamburg Emporio. The hotel’s design was inspired by the theme of ‘water’, and creates a link with the Hanseatic city, which through its harbors is also closely associated with water. The Art Rooms were designed individually by artists and reflect their own individual interpretation of the theme of water. 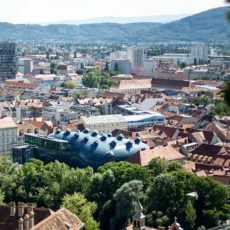 The art work, paintings and photography on the 7th and 8th floor are by various artists and photographers, like Florian Weber, Thomas Koch and Paul Ripke. In addition, the art also has a sustainability theme: the project was initiated in collaboration with the organization Viva con Agua, as well as the associated Millerntor Gallery from Hamburg, which support projects such as provision of wells and clean drinking water, as well as hygiene and access to sanitary facilities worldwide. Which aspects of running a “sustainable” hotel in a city like Hamburg do you find the most challenging? 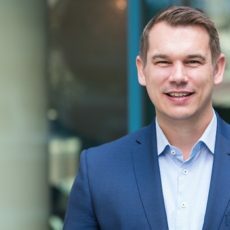 Even though it’s 2019, the actual demand for sustainable hotels is very low and is not (yet) impacting our business and development. Travellers are not yet searching, either directly or via online travel websites, for green hotels. Location, rate and reviews are the factors which make the needle move in our industry. Would you say that Hamburg is a green city destination? We’re getting there. Hamburg still has, for example, a very strong harbor industry and therefore a heavy task to solve, in terms of environmental aspects. But Hamburg has already in 2012 shown – as European green capital – that we have the capability to develop and establish green initiatives. 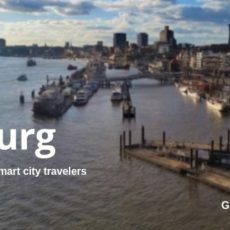 Your five bits of advice for environmentally conscious city travelers, on how to best explore Hamburg – what to do? Rent a bike – Hamburg is very flat so, my tip is either to walk or bike the city and explore its beauty on two wheels. Taste local food – the fish dishes offered at the harbor, and local breweries like Astra and Ratsherrn are really worth a visit. Wilhelmsburger Inselpark – 100 hectares of nature in the south of Hamburg, opened in 2013. …and of course, staying with us…! 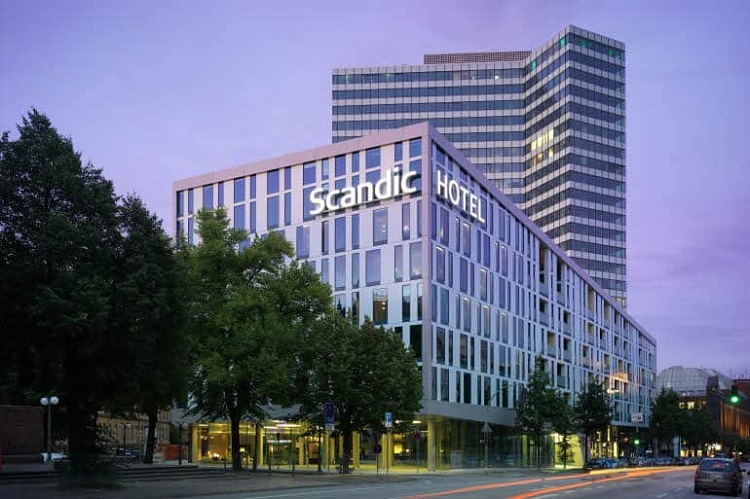 Check rooms and availability at Scandic Hamburg Emporio here or compare reviews and rates on Booking.com.